Metabolism is defined as the sum of all life-maintaining chemical reactions within an organism: Metabolic reactions either convert high-molecular substances to generate energy, molecular building blocks for biosynthesis and signaling molecules (catabolism) or generate novel high molecular bio-molecules (proteins and proteoglycans, carbohydrates, lipids and nucleotides) from the available low-molecular building blocks and precursors (anabolism). In metazoans, these processes range from digestion, the distribution of the resulting metabolites towards specific organs and tissues towards compartimentalized metabolism on the cellular and sub-cellular level. While stem cell division and tissue growth are inherently coupled to anabolic growth and production of biomass, research during the past two decades has shown that the state of cellular metabolism is a determinant of stem cell expansion, rather than being a mere consequence of it. Metabolic reactions were shown to control major determinants of cell fate such as signaling, epigenetic chromatin modification and direct control gene transcription. 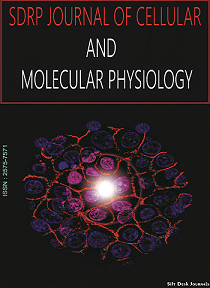 Importantly, physiological parameters such as tissue oxygenation, temperature (in cold-blooded animals) and nutrient availability are now recognized to influence the fate of stem cells via metabolic reaction, providing a way to couple the physiological state of the organism with the stem cell activity in different tissues. In addition, current areas of intense investigation are how metabolic diseases directly influence stem cell activity and tissue growth, exploiting the ever-growing disease related information on human genetics. Heterogeneity of metabolic regulation within a tissue can now be addressed by cell type-specific manipulation of metabolic pathways as well as the continuously growing repertoire of single-cell analysis.